Identification Authentication & Verification Solutions for Business. Same day shipping before 4 p.m. E.S.T. 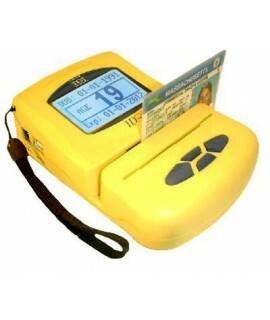 THIS ID SCANNER READS ALL MAGNETIC STRIPE ID’s ONLY. Protect your business and licenses with one of the leading age verification products available. The terminal has an extremely bright, oversized display, ideal for all light conditions (even complete darkness). 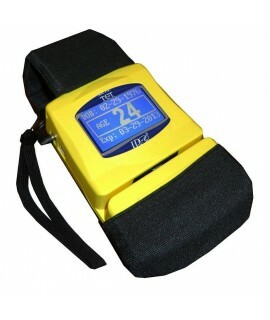 Displays a variety of information about the customer, such as name, age, D.O.B, address, etc. Stores up to 4,000 records, ready for immediate download with optional compliance software. 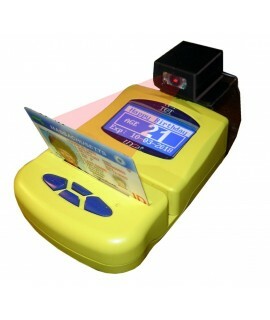 THIS ID SCANNER READS ALL MAGNETIC STRIPE AND 1D 2D BARCODE ID’S. IT IS DESIGNED FOR COUNTERTOP/WALLMOUNT USE ONLY – NOT PORTABLE USE. Ideal system for complete protection and ID verification. Essential for businesses where some customer ID’s only have a barcode. The terminal stores up to 4,000 records, ready for immediate download with optional compliance software. Extremely bright display operates in all light conditions and displays a variety of information about the customer, such as name, age, D.O.B, address, etc. THIS ID SCANNER READS ALL MAGNETIC STRIPE, 1D OR 2D BARCODE ID’S, AND IS DESIGNED FOR COUNTERTOP/WALLMOUNT OR PORTABLE USE. 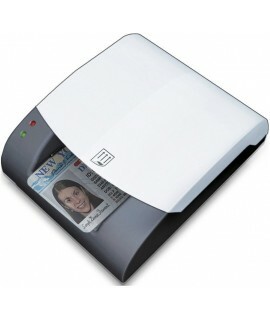 Ideal system for ultimate protection and ID verification in any location – countertop or mobile. Essential for businesses where some customers ID’s only have the barcode feature. The terminal stores up to 4,000 records, ready for immediate download with optional compliance software. Extremely bright display operates in all light conditions and displays a variety of information about the customer, such as name, age, D.O.B, address, etc. CLUB OWNERS - Just what you have been asking for... take a picture of every I.D! The scanner reads the age from any Drivers License or I.D. Card (in the USA/Canada) AND simultaneously captures a double sided image. BAN, VIP and Duplicate all included as standard features. Software database contains a full history with image of every ID shown. Protect yourself, your business and avoid heavy fines with the ID-E-600.